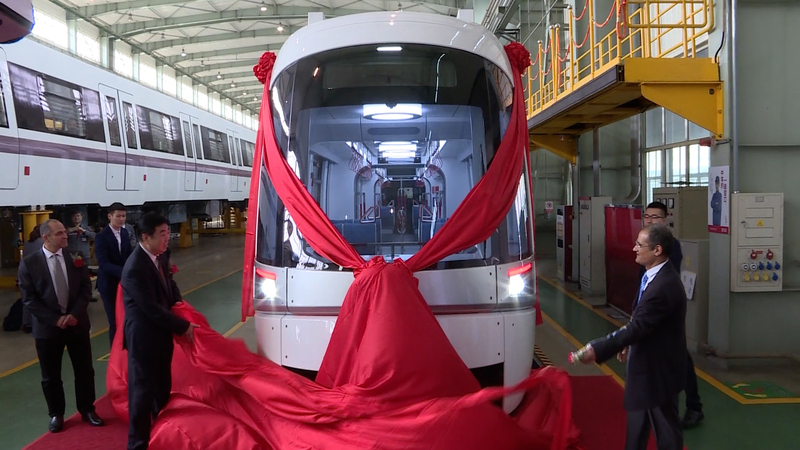 The first light rail vehicle (LRV) made for Tel Aviv, the second most populous city in Israel, rolled off the production line in northeastern China's Changchun City on Tuesday. 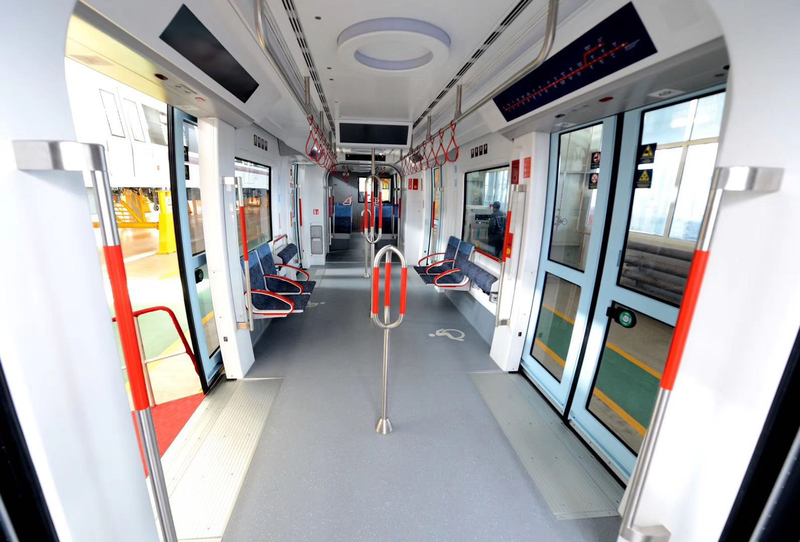 The new metro car developed by CRRC Changchun Railway Vehicles marks the first time that a 100-percent low-floor LRV made completely by China enters a developed country's market. 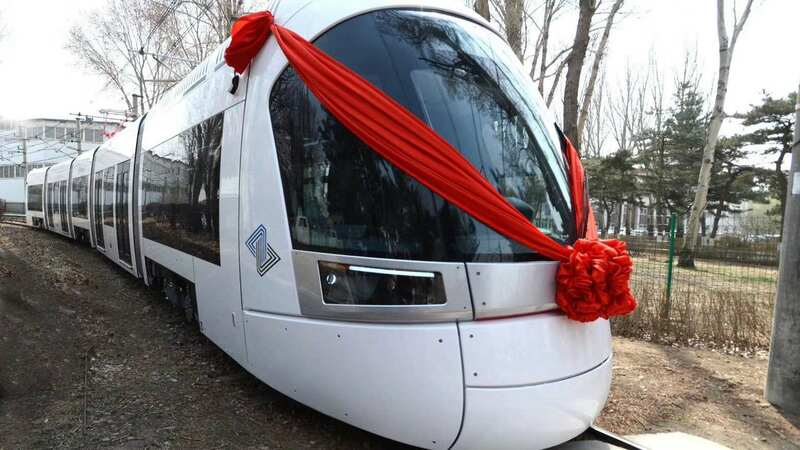 After taking a test ride on the train, Efi Kalifa, NTA's VP of Systems and Technologies, who is in charge of the LRV project, told CGTN that he had pride and confidence in both its quality and the professional team to fulfill all the targets by the commencement of operations in 2021. "According to the very good experience that we had till now, I really expect CRC team and management will participate in our next future lines," he added. The LRV is said to have the highest level of safety among its peers and multiple designs have been specially tailored for the Israeli metropolis. Its integrated explosion-proof designs include the curved train roof, a non-ferromagnetic bottom, and blast-resistant windows to cope with possible rocks and explosive devices to meet the security needs of the Middle Eastern country. The white train body is designed to match the cultural heritage of the White City, the world's largest collection of Bauhaus style buildings, which is in Tel Aviv. And the special traction control system, as well as the air-conditioning system, will enable smooth and pleasant trips in the hot and humid Mediterranean weather. Besides, cutting-edge technologies like automatic train operation and composite material make the vehicle lighter and more eco-friendly. Manufacturers believe the vehicle is driving towards Israel, and a broader overseas market. 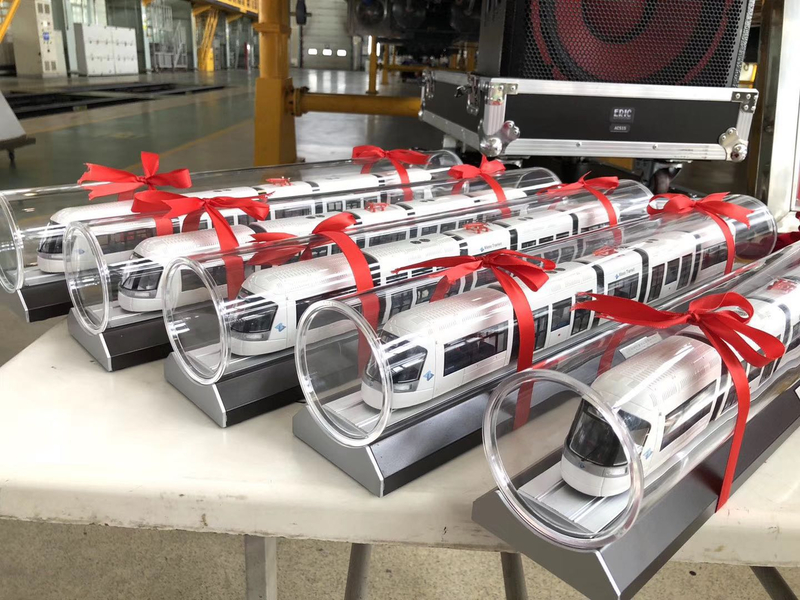 Yu Qingsong, deputy chief engineer of CRC, calls the train a typical example of how Chinese manufacturing can create something that fits both Israeli customization and European railway standards. Liu Gang, deputy general manager of CRC's Global Business department, believes the breakthrough in Israel paves the way for the company to further explore the railway market in Europe which has long been a base camp of a number of industry leaders. 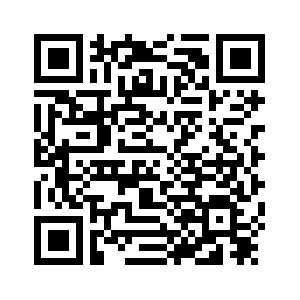 "At the beginning, we faced some doubts on our design and production capabilities. 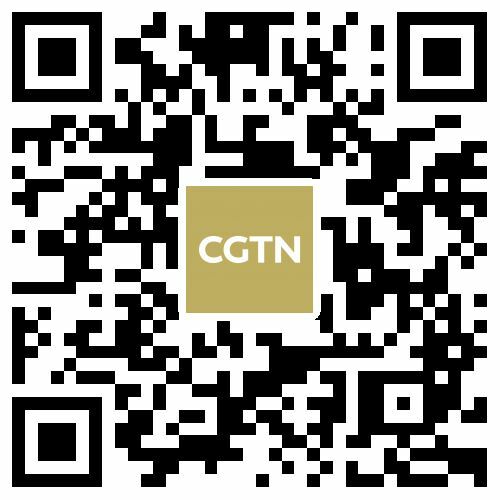 With full preparation and rich experience accumulated in other high-end foreign markets like Australia, Brazil, and the U.S., we prove that we are qualified to meet the European standard," said Liu. 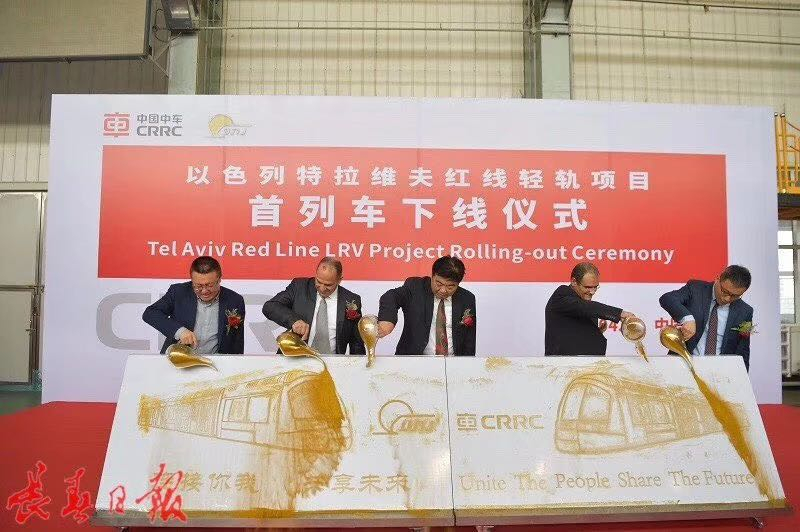 CRRC Changchun was selected in 2015 as the preferred bidder to supply 90 light metro cars, with an option for 30 more, to operate on the 23km Tel Aviv Red Line. A 16-year maintenance agreement had also been signed to provide not just product but also long-term service and solutions. The people of Tel Aviv have seen many incarnations of plans for subways, tramlines and other urban transportation systems. And with all preparations in place, they are expected to see the first line of the light rail system. The Red Line will run through five cities, along one of the most crowded routes in the metropolitan area. Experts believe it will increase the use of mass transit system and cut commuting time.